There’s no shortage of bands playing epic indie pop. Some get it it hideously wrong (hello, Kodaline). Others suggest that they have promise (hello, Swim Deep). And then there are bands like the fabulous Galleries from Glasgow who just nail it. Three and a half years ago, when their debut, free EP arrived, I wrote that ‘they are at that juncture where post-rock and shoegazing and indie rock meet.’ This album may have taken a number of years to come together, but they have built on the promise of that debut on their first album. In a time of so-much indie landfill, Galleries truly have something to offer. 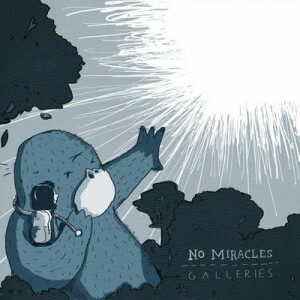 No Miracles is out now. Stream it below. This entry was posted in Galleries by Ed. Bookmark the permalink.